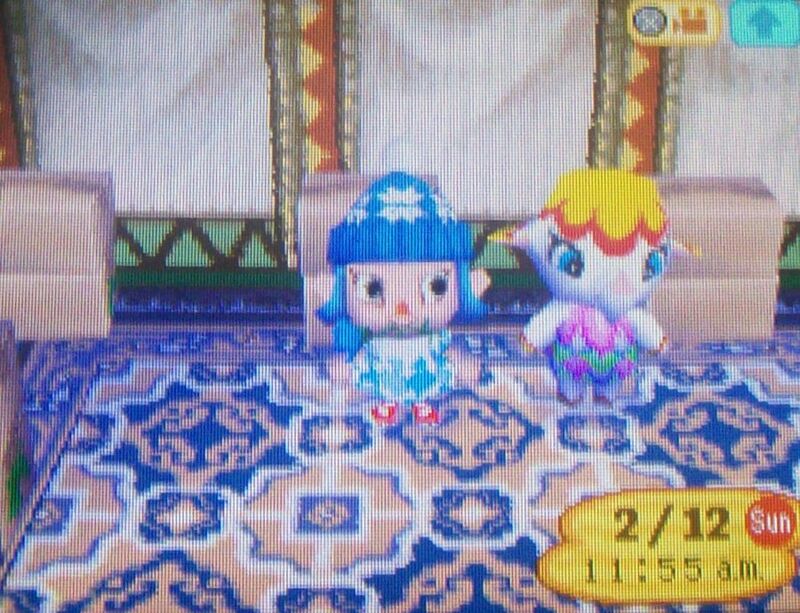 So this is the first update on my town in a long time, since I took a break from Animal Crossing for a few months starting in January (and only recently started getting into it again by working on the patterns page). 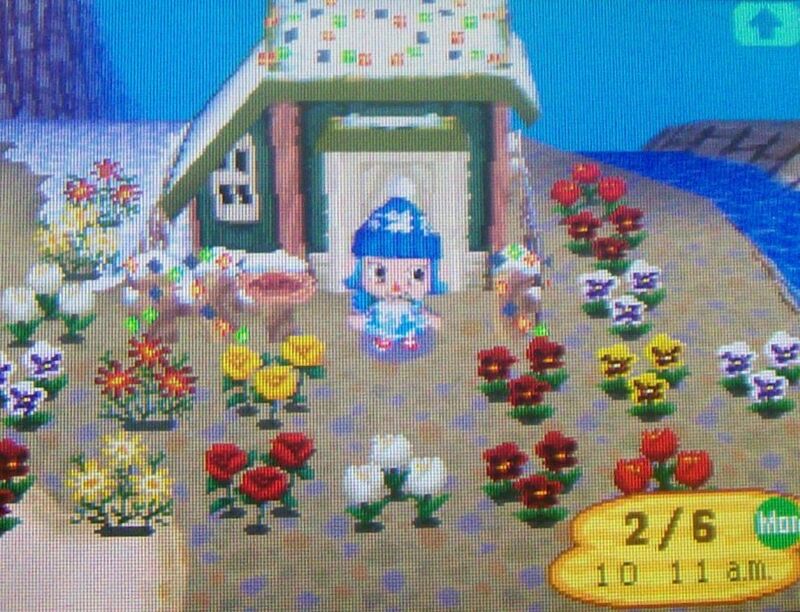 I set the DS clock to the same date in January whenever I turned on my game so that my flowers wouldn’t die, and now I have a lot of catching up to do. 1) Trees will not grow immediately next to water, cliffs, other trees, rocks, buildings, plazas, signs, and bridges. 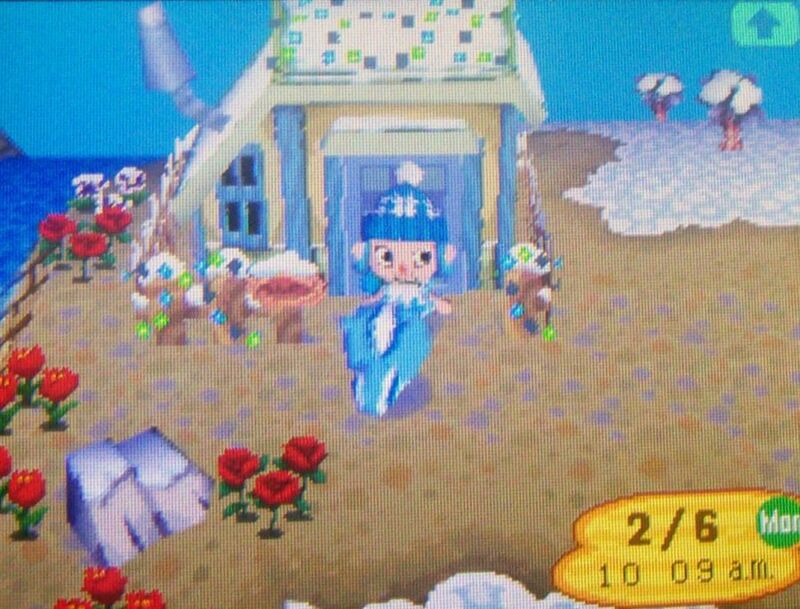 2) There are certain “spots” or paths where the game will not allow trees to grow, so that there is room for the villagers to move around when they are outside. 3) Each acre can have, at maximum, 24 trees. Furthermore, each quarter-acre (divide each acre into four equal parts where each quarter-acre contains 8 x 8 = 64 “spots”) can have, at maximum, six trees. It is not necessary to water saplings. Walking on or running over saplings does nothing. The only thing that matters when growing trees is location. All trees take four days to grow to maturity. 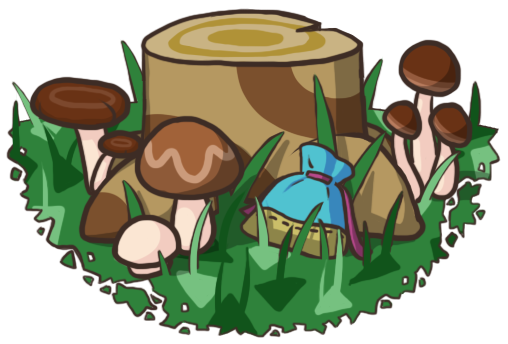 Get rid of trees by chopping them with your Axe, then digging up the stumps with your Shovel. 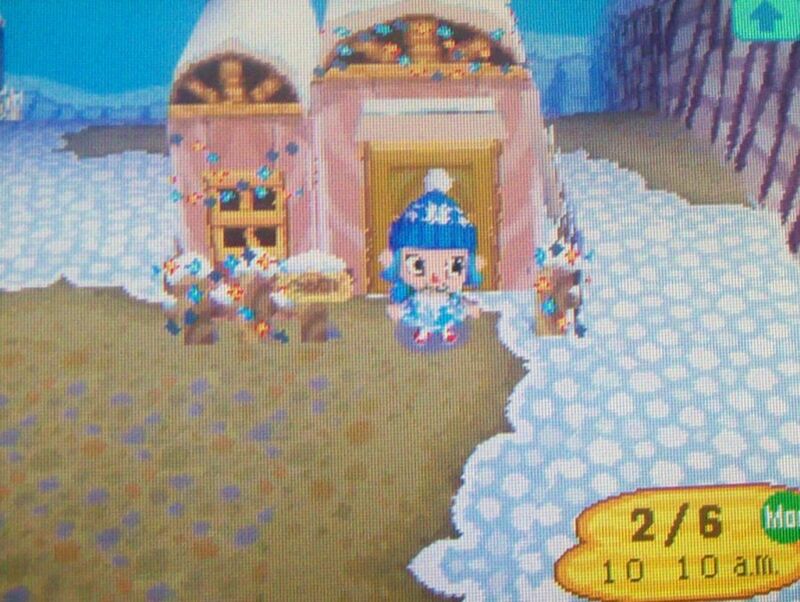 Use a Shovel to dig up saplings. The part I bolded, #2, is what I wanted to find out — the dead spots where trees will never grow in my town. It’s just frustrating to be planning a layout of trees and have saplings die when they should grow. Second to move was Monique. To replace Monique was not another snooty, but a jock — my favorite jock! 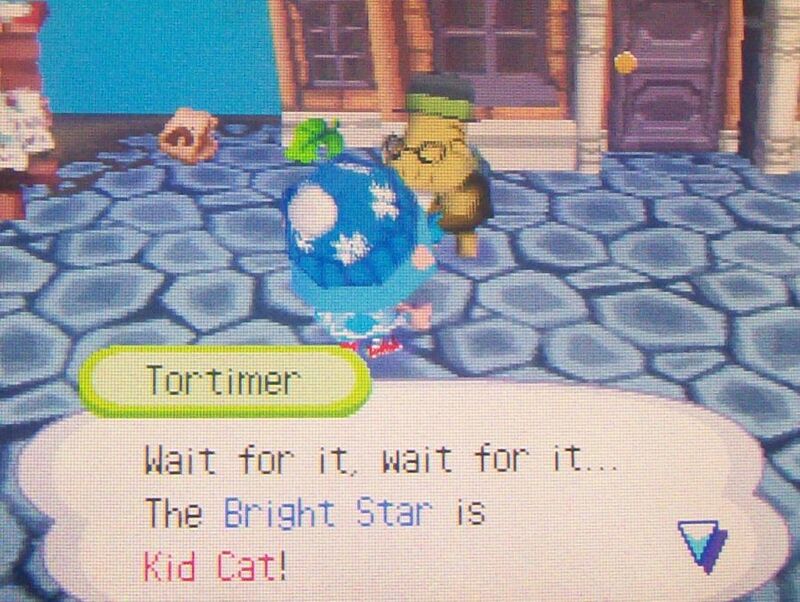 Kid Cat is one of the neighbors I wanted to lock in Dafdilly, so I was thrilled to see he moved in! 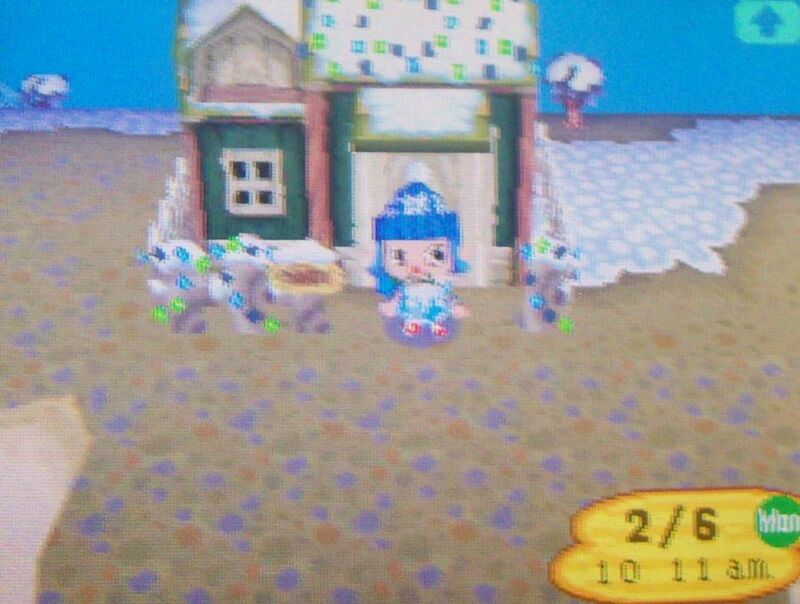 And he was replaced by Samson, so I still have two jocks in my town. 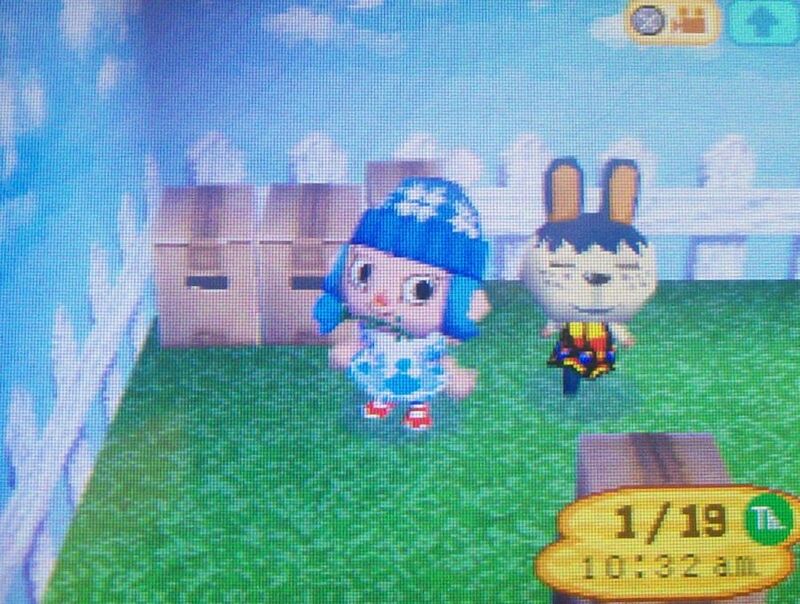 I used to have Margie locked (with Puddles), but decided to unlock her because I would rather have my favorite neighbor Melba. I moved Margie to my dad’s old town Red Bank, though, so she’s still around. Like this garden gnome, I’ve always wanted one. I rarely ever see anything I don’t already have at Redd’s (even though there are lots of Redd-exclusive items I still need), but I just bought this weird raccoon figurine. 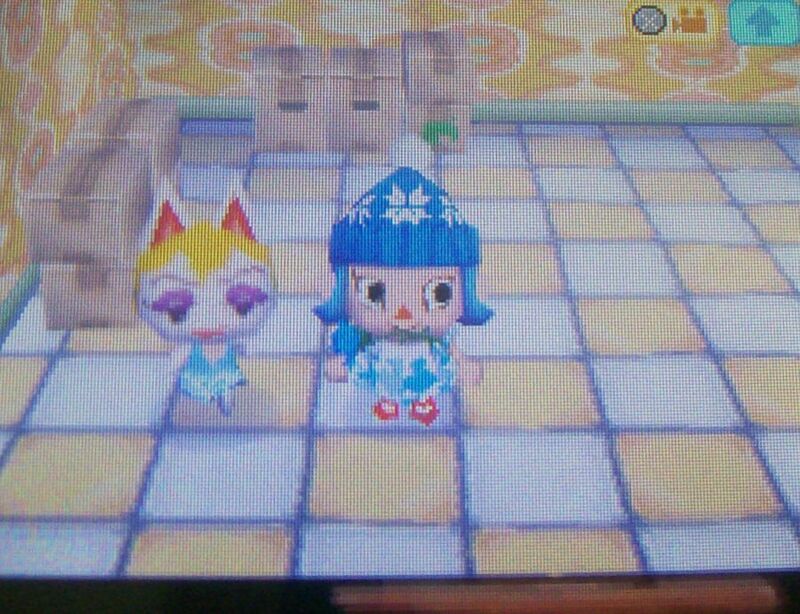 All the lights are basically the same, but I picked Kid Cat’s lights as the best everyday in the hope that it would boost our friendship level, lol. (I want his picture.) 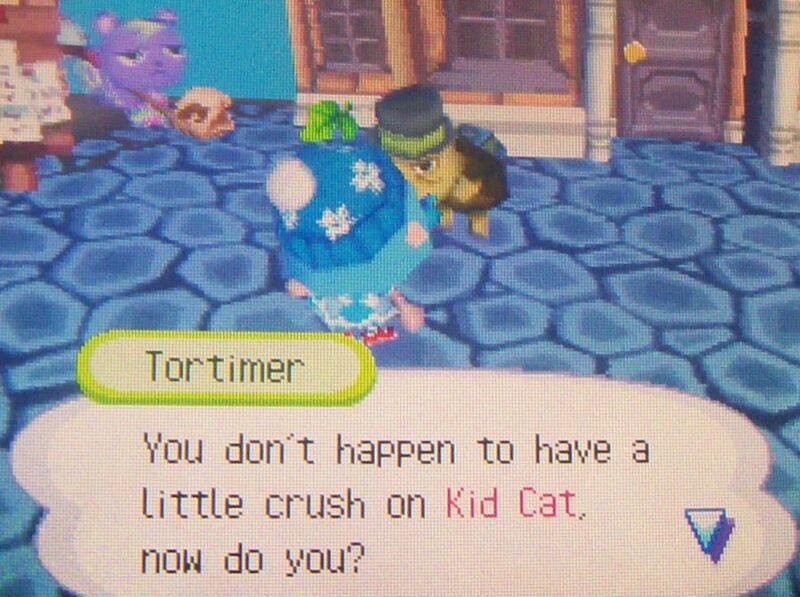 Tortimer noticed. 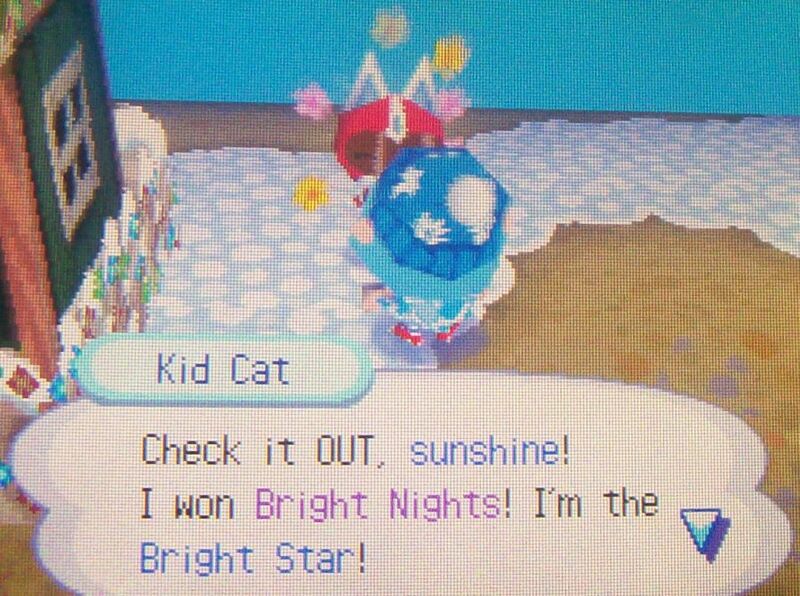 When I played today, Bright Nights had just ended and Kid Cat was pleased to be the winner. 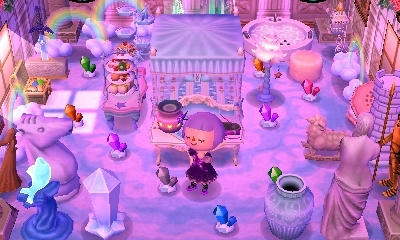 🙂 Now that I’ve finished dead spot testing I’ll probably move my flowers back, plant trees, and make patterns, getting my town back to how I like it. 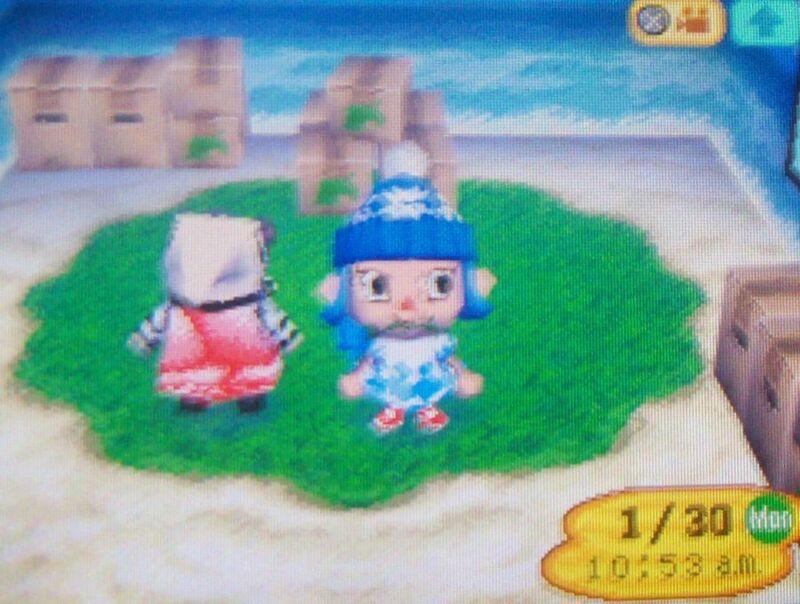 Posted on May 20, 2012 by Amy •	This entry was posted in AC:WW, Dafdilly and tagged Animal Crossing. Bookmark the permalink. Getting to know about dead spots this much! I dunno how you do it! and i actually get it! Good Job Amy! and i hope you get to the original date a lot more faster! I know, right? That’s pretty spooky! I think you should post that map on ACC and get it stickied for being such a strange discovery! o.o Great post! 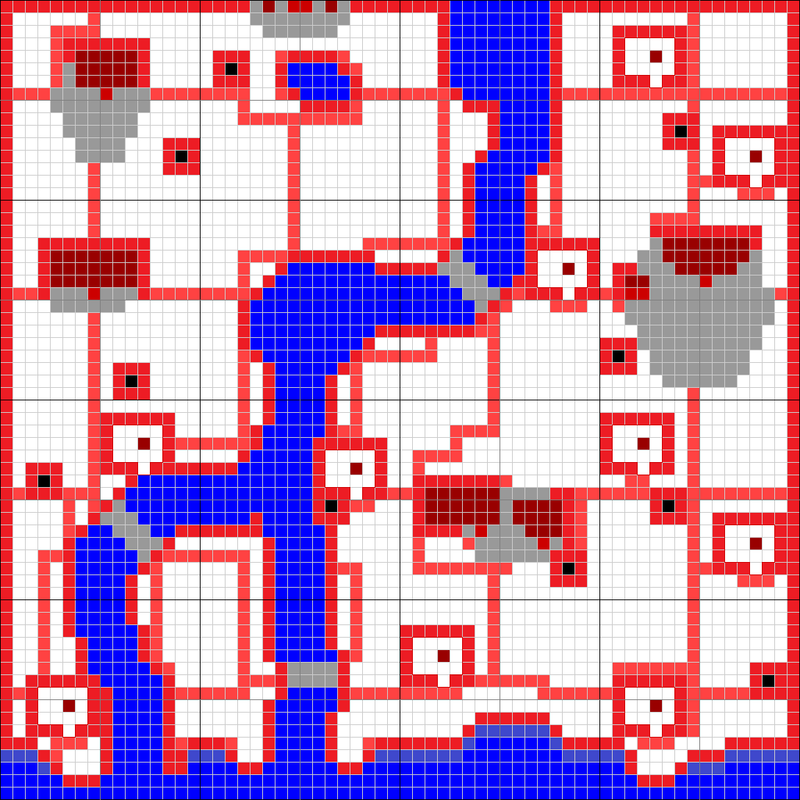 I love the gribben maps (they’re called gribben right? ) u do your so aplicate with this!!! Oh SAMSON!!!! I had his photo and he is in my town but I haven’t been visiting a lot a casa yet… I hope he didn’t moved 😦 I love bright nights I discovered them with a Jemma’s post lol 😉 They are so fantastic! Specially with the contrast of colors, the white from the snow and the other colorful colors 😉 Great post! Thanks Emma! The word is gridded. 😛 Oh cool, you have Samson too? 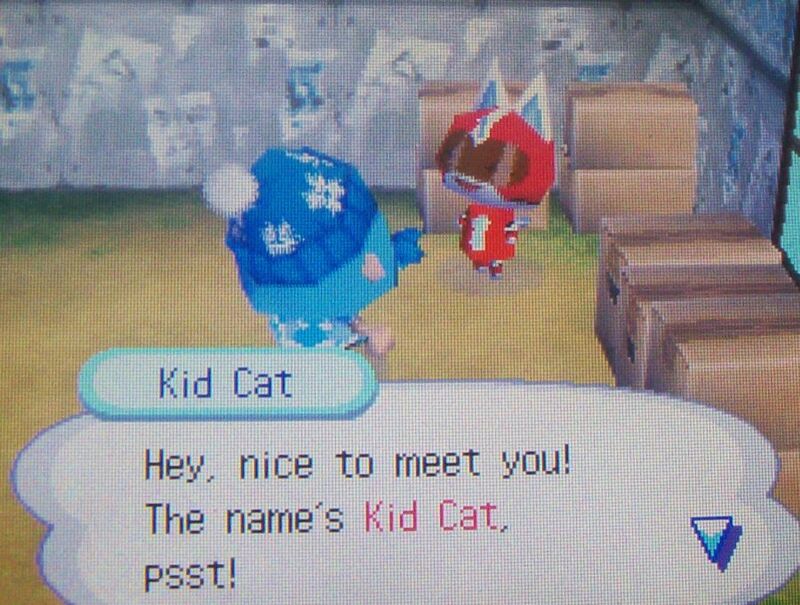 I haven’t really got to know him though because I was so excited about Kid Cat moving in. 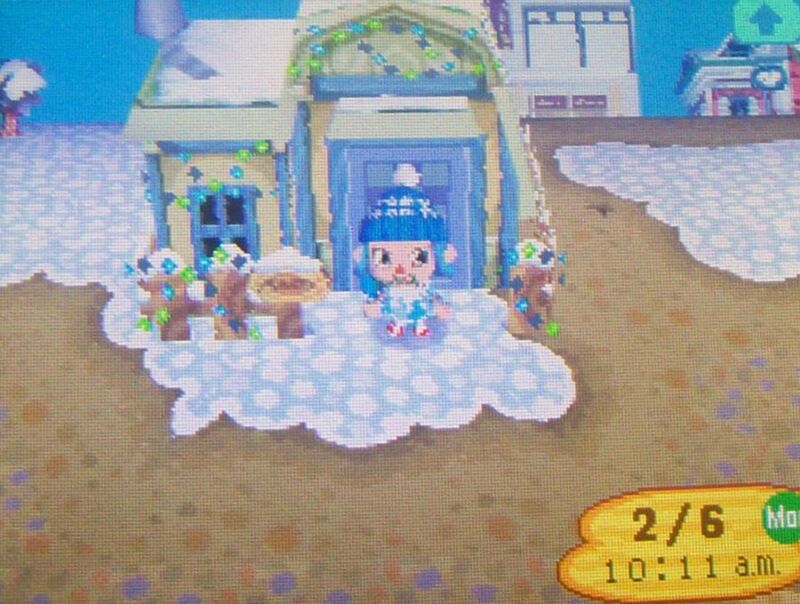 Yeah, Bright Nights is so pretty; it’s a shame my town was so barren during it because of dead spot testing. Wow… I stared at that map for a good 20 minutes. It’s just… spooky. Amazing, this is very interesting! 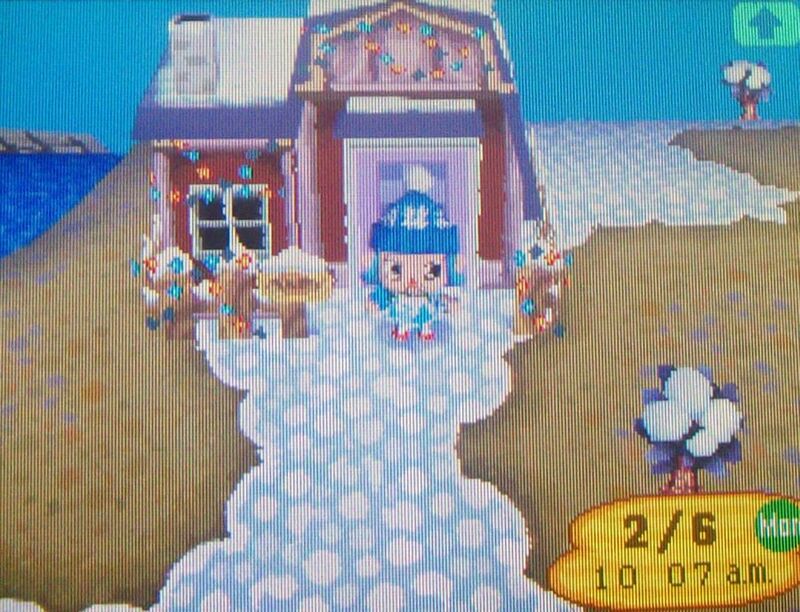 I like your theory about those invisible paths might be where neighbors walk, I was also expecting random spots, but when I saw the image I was amazed! You really discovered something BIG! And planting 12 trees a day must be tiring, although the results were interesting and worth it, I guess. 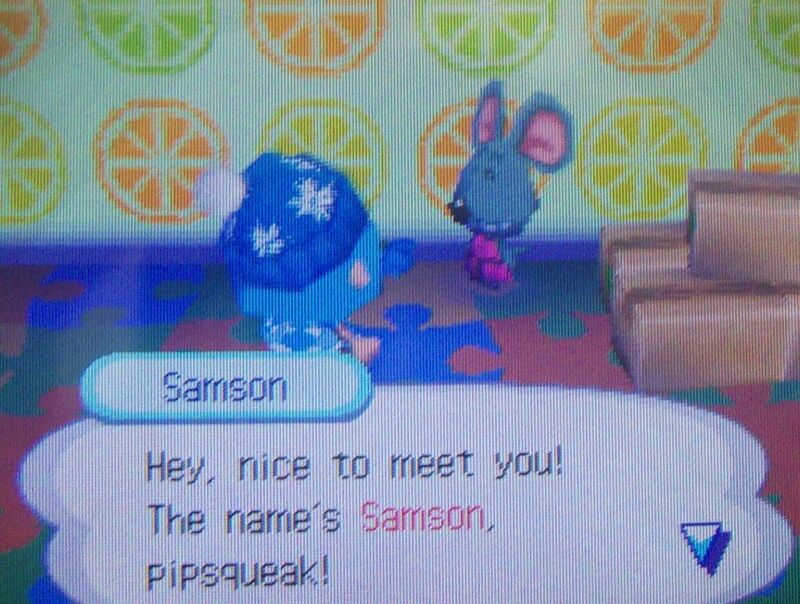 Aww, you got Samson! 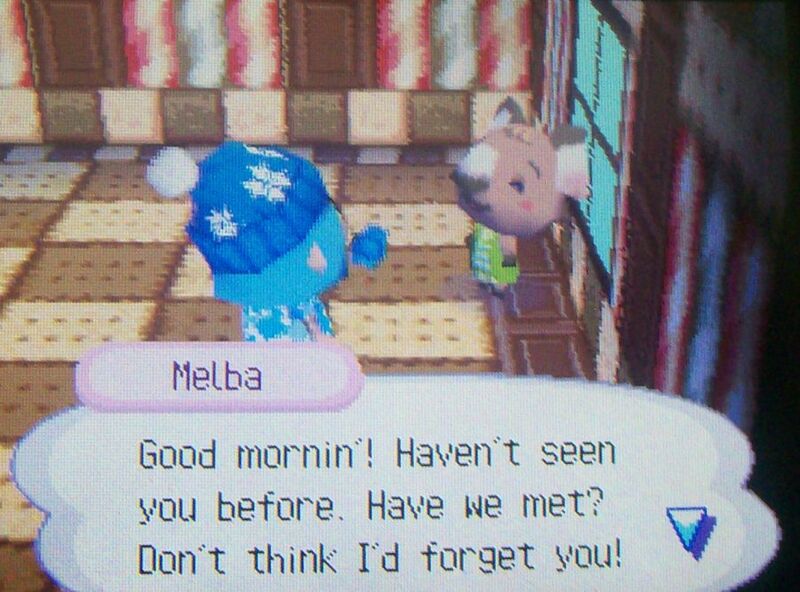 He’s really sweet, I liked him when I had him in my town. I guess he came from A casa? Because Emma used to have him, or maybe he’s just a random copy of Samson, lol. 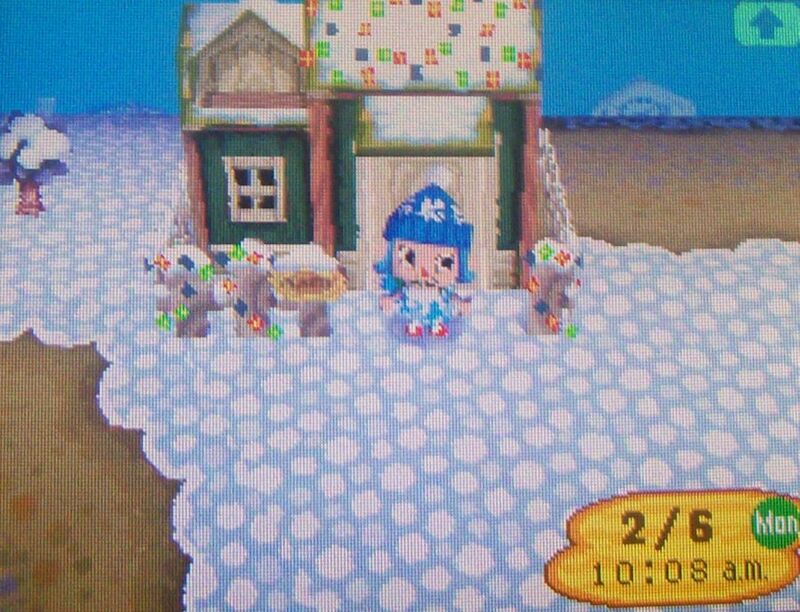 I do think neighbors go off the paths sometimes, like when they run up to talk to you. 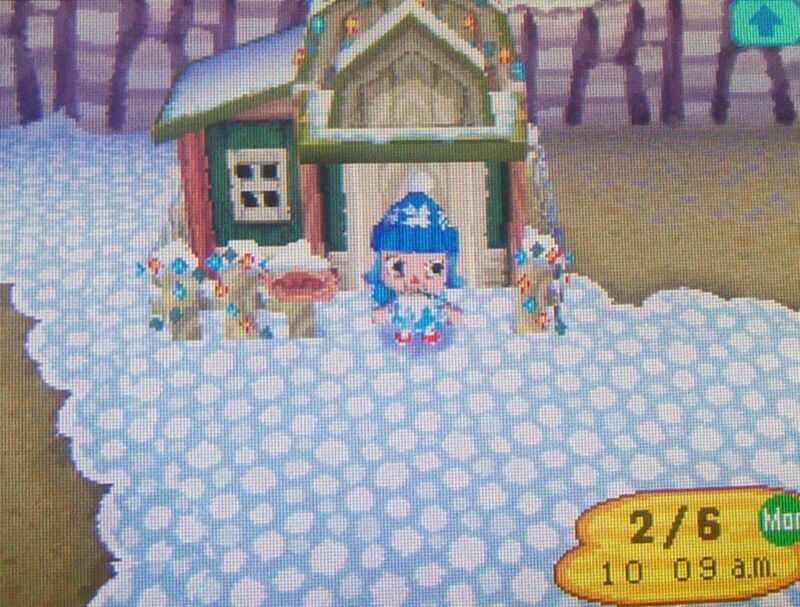 My theory is that the paths are for when they go back to their houses, like when it’s their bedtime or after you’ve given them a fish/bug/furniture, they always walk back to their house to put it in their room. But I might watch their movements a bit more now out of curiousity. 😛 Yeah, it was pretty tedious, but I was determined so I didn’t mind. I’m glad I found something interesting out of it, though, and now I’ll be able to plan trees more efficiently. 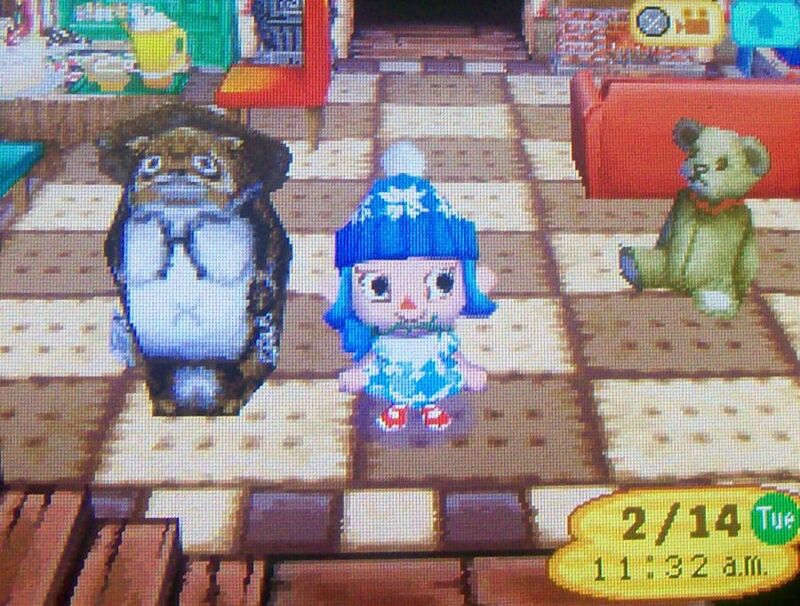 🙂 Haha aww, the three of us have all had Samson! I agree, when they run up to you I’m pretty sure they get off the paths. 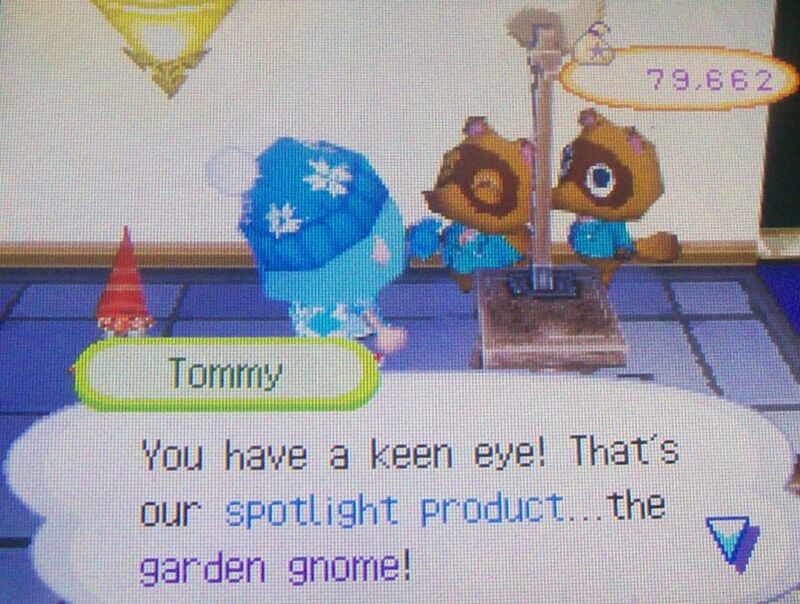 Haha, this reminds me of when I used to stand next to a neighbors house for minutes (not hours, I was very impatient ) to see if I was lucky and I saw them go into their house, I just loved challenging Animal Crossing to see how realistic were the neighbors. Yep, even if I’m not posting, chances are I’m okay and nothing’s wrong. xP My summer classes and job just haven’t been giving me a lot of time for AC and I haven’t been checking WordPress much either. But I’ll go check out your post 🙂 Awesome, I hope you enjoy your summer break! 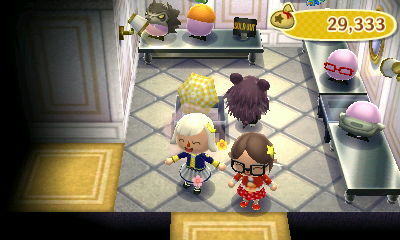 Remember when we planted those “friendship trees” in my Spring Party and I told you none of them grew, they all died? 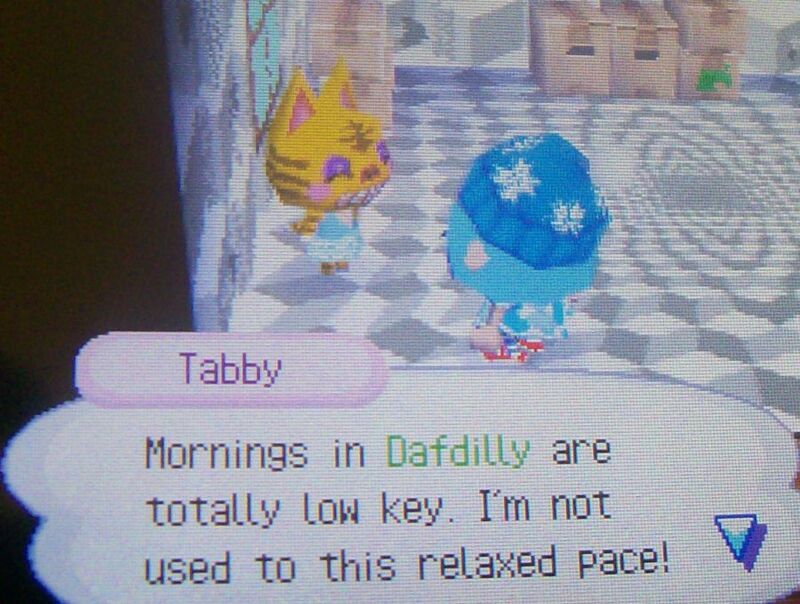 Well, we planted those right in front Filbert’s house, and maybe he used that path to go in and out of his house. I’d love to do that! I’m sure I can find some other spot somewhere, or just a few rows lower sounds good! I’m glad too! 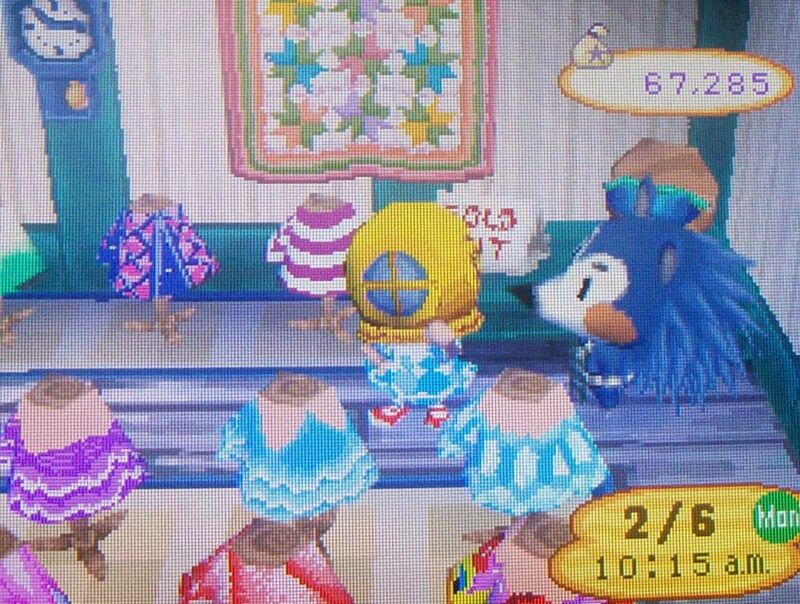 Aww, that’s nice, Bob is also one of my all-time favorites, I hope to get him in Dafdilly one day. Good luck in convincing Nibbles to stay! Oh, and * means fave neigbor.